Difference between revisions of "Indigenous"
This section examines a few aspects of the indigenous people of North America and the San Francisco area. 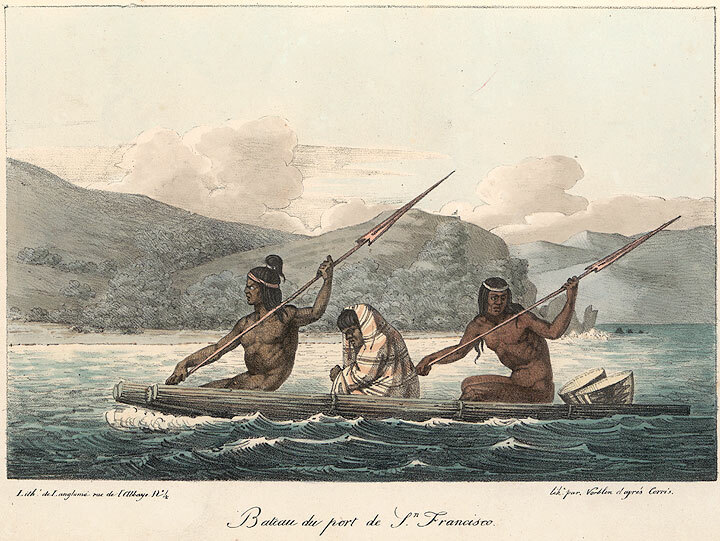 Painting by Louis Choris of local transport on the bay. Hastings College of Law Built on Genocide? The "Good Old Mission Days" Never Existed!